for $199,900 with 3 bedrooms and 1 full bath. This 1,296 square foot home was built in 1982 on a lot size of 1.824 +/-. 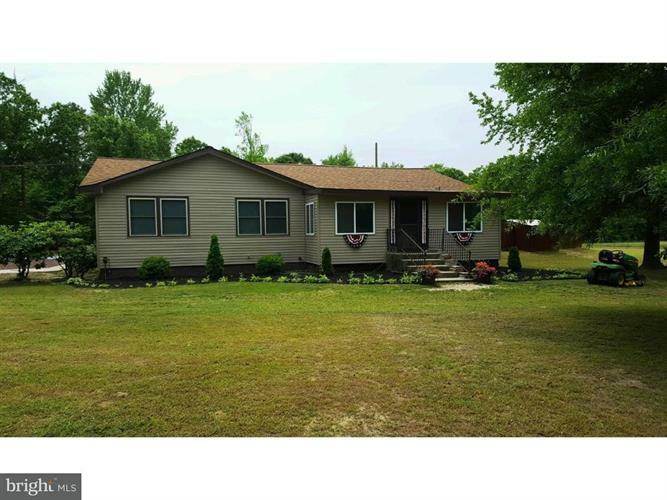 Beautiful ranch home nestled on 1.824 acres in Maurice River Twp. Come take a look at this 3 bedroom 1 bath home, gorgeous hardwood floors in living room, hall and bedrooms. Custom stone wall in living room has possibility to add wood burning stove, Eat in kitchen features ample cabinet space & tile flooring, addition on back of home currently used as family room and dining area boast windows with a gorgeous back to nature views. Door off of the addition leads to in-ground pool w/ sliding board, deck area perfect for family summer fun and entertainment, liner recently replaced. full basement, attic access for additional storage.